Vernon and Gladys Presley paid $50 for a 1942 Lincoln Zephyr Coupe as a present for their son Elvis’ eighteenth birthday. Fats Domino records “I’m Walkin'”, a song he wrote after his car broke down and a fan shouted “Hey, look at Fats Domino, he’s walking!”. The record won’t be released for over a year, but would go on to reach #4 on the US Pop chart and #1 on the R&B chart in April of 1958. Phil Spector’s “The Teddy Bears” one hit wonder band appear on NBC’s Kraft Music Hall where they Billboard #1 hit, “To Know Him Is To Love Him”. Bobby Darin and Connie Francis pair up to sing “You Make Me Feel So Young” and “You’re The Top” on The Ed Sullivan Show. After placing thirty songs on the Billboard chart with Imperial Records, Rick Nelson signs a one million dollar, twenty year contract with Decca, where he will achieve six more Top 40 hits. Billed as The “Love Me Do” Boys, The Beatles kick off a five day tour of Scotland at the Two Red Shoes Ballroom, Elgin. Cliff Richard was at No.1 on the UK singles chart with ‘The Next Time / Bachelor Boy,’ both songs were from the film Summer Holiday. His sixth UK No.1. The Beatles were seen for the first time on a US TV show when a clip from the BBC’s The Mersey Sound, showing the group playing “She Loves You”, was shown on The Jack Paar Show. At that point, Parr was not a fan and made fun of their haircuts on the air. 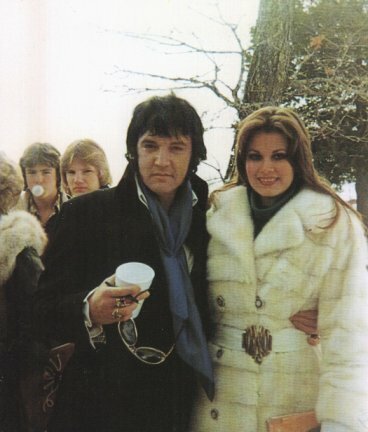 Elvis went shopping for clothes at Lansky’s. The Beach Boys‘ Carl Wilson refused to report to the local draft board after getting his draft notice. He would eventually win conscientious objector status. The Beach Boys were still enjoying the success of their latest single, “Good Vibrations”, which hit number 1 in the US just a few weeks earlier. The Bee Gees achieved their first recording success when a song called “Spicks and Specks” rose to the top of the Australian singles chart. Although it failed to make much of a splash in the UK or North America, it did reach #2 in Netherlands and #28 in Germany. For a little while now horses were very popular with Elvis and the boys. They only rent out the Memphian for movies four times this month. Almost everything had to do with horseback riding these days. 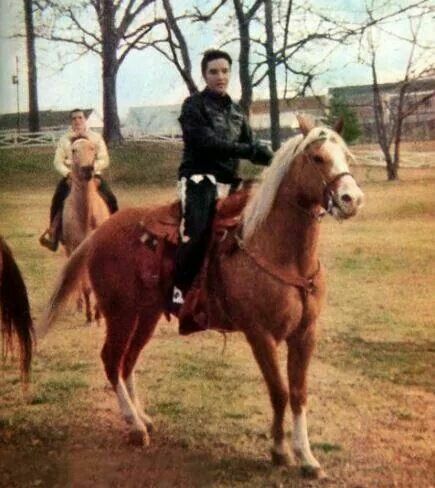 During the next 2 weeks Elvis would not only purchase his own favorite horse, which he renamed in Rising Sun, but he also bought a horse for his father. Elvis complained to RCA about the mastering of his new single Guitar Man. According to Elvis the sound was different than the sound he had achieved in the studio, where his voice was more integrated with the band. Thirty thousand copies of John Lennon and Yoko Ono’s album “Two Virgins” were seized at a New Jersey airport because the cover showed the couple naked. A vice squad in Chicago shut down a record store displaying the album, causing the distributor, Tetragrammaton Records to sell the L.P. in a plain brown paper wrapper. Singer Davy Jones announces that he too is leaving The Monkees, after Peter Tork the previous year. Elvis spent over $3,900 to remodel 2 rooms and a bathroom in the basement of Graceland to be used as an apartment for Charlie Hodge. Don McLean received a Gold record for his single “American Pie”, which reached #1 in the US and #2 in the UK, selling over three million copies. Due to toothache Elvis went to the dentist. The Bay City Rollers went to No.1 on the US singles chart with ‘Saturday Night.’ At the height of their US success, the Scottish group signed a deal to promote breakfast cereal. 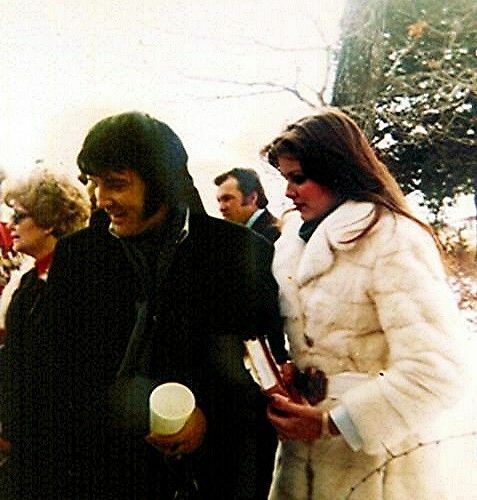 Elvis flew Ginger and her family to Harrison, Arkansas, to attend the funeral of Ginger’s grandfather. Aretha Franklin became the first woman inducted into the Rock and Roll Hall of Fame. Queen Latifah, Naughty By Nature, MC Lyte, Public Enemy, and the Geto Boys performed at Madison Square Garden in New York for what was billed as the World’s Greatest Rap Show Ever. B.B. King’s latest album, featuring thirteen duets with artists such as the Rolling Stones, Eric Clapton, Heavy D, Bonnie Raitt, Wille Nelson, and Van Morrison, reached #73 pop today. Great Britain’s commercial radio show Hit 40 UK announced that it will no longer use CD sales for its official figures. The networked Top 40 chart program, which broadcasts across 130 stations, will base its weekly charts solely on digital downloads. Gloria Estefan became the first female artist in the history of the Billboard Latin singles chart to enter at number one when “Hotel Nacional” debuted at the top. Follow That Dream released the Elvis Country Legacy Edition, it combined the original “Elvis Country” and “Love Letters from Elvis” LPs with additional tracks. Phil Everly, one half of the Everly Brothers, died of complications from lung disease aged 74, in California. In their heyday between 1957 and 1962, the Everly Brothers had 19 Top 40 hits, including ‘Bye Bye Love’, ‘Wake Up Little Susie’ and ‘All I Have to Do Is Dream’ and influenced acts such as The Beatles and The Beach Boys. Vinyl sales topped three million last year, the highest UK total in 25 years. More than 3.2 million records were sold in 2016, a rise of 53% on the previous year, according to the BPI, which represents the music industry. David Bowie’sBlackstar was the most popular album on vinyl, selling more than double the number of copies of 2015’s biggest-seller, Adele’s 25. 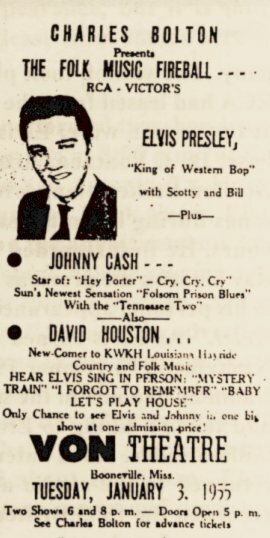 This entry was posted in Concert, Elvis Presley, Elvis Romance, FTD release, Memphis Mafia, Presley Picture, Presley Platter, Uncategorized and tagged 1942 Lincoln Zephyr Coupe, Charlie Hodge, Cliff Richard, Elvis Country Legacy Edition, FTD Elvis Country Legacy Edition, Ginger Alden, Gloria Estefan, Guitar Man, Johnny Cash, King of Western Bop, Phil Everly, Rick Nelson, Rising Sun, The Bay City Rollers, The Beatles, Vernon and Gladys Presley, Wild in the Country. Bookmark the permalink.